Steve Auslander is a 5th grade educator at Allisonville Elementary School. 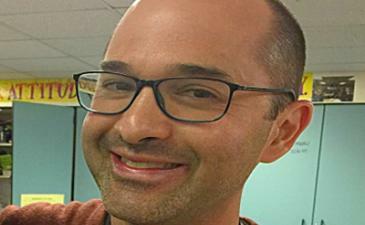 Steve is passionate about integrating engaging technology in the classroom as a means for students to create to show what they know, and to connect his students to other classrooms and people around the world. Steve is a Skype Master Teacher, Microsoft Innovative Educator Expert, PBS Digital Innovator, Class Dojo Ambassador, Imagination Foundation Ambassador, and an Indiana University Jacobs Educator. Fun Fact: Steve sang Livin' on a Prayer at the 2015 Edtech Karaoke Voice of the Year Contest at ISTE Philadelphia. Follow Steve on Twitter, @sauslander.